Check out the photos and video of this bungee run below! 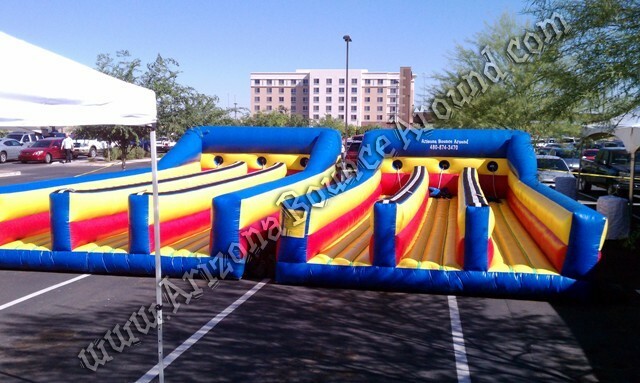 Our 3 lane Bungee Run will be a big hit at your party. Imagine having all your friends at your party seeing how strong they are by pulling on the 3 lane bungee cords and seeing who can stick the Velcro pads on the tape measure on top of the bungee run then getting pulled back. Our 3 lane bungee run will add real excitement you're your party or event and not to mention having 3 people playing at the same time. Don't waste your money on a 2 Lane Bungee Run when you can have a 3 or 6 lane bungee run. Our Bungee Runs feature easy to use vests with automotive seat belt latches so you can get in and out fast and secure while in use. We also use professional rock climbing hardware and the best heavy duty bungee cords available. It will also make a great photo opportunity for your Facebook Page. We carry a big selection of concession machines like Popcorn, Snow Cone, Cotton Candy and Margarita Machines for rent. We have a big selection of Colorado DJ's and Light Show rentals to put your party over the top. 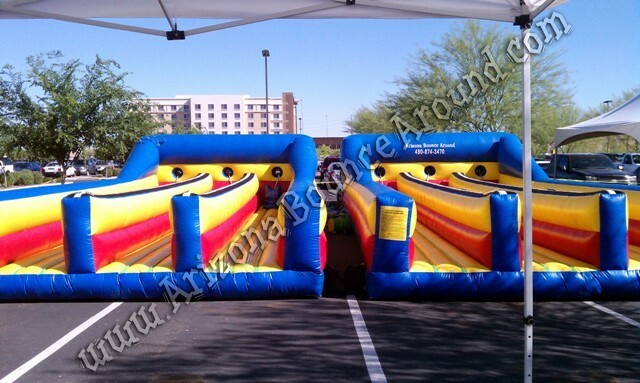 We are a full service party and event rental company serving all of Colorado with bungee run rentals. 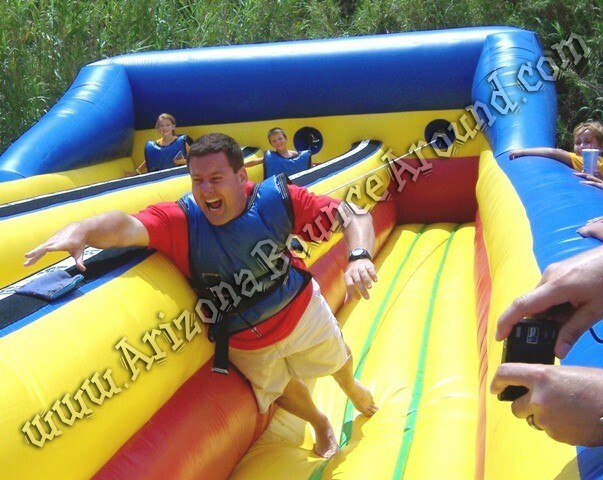 This bungee run rental price includes standard set up. Standard setup is considered a real grass area that we can stake into the ground or indoors. Within 80 feet of sufficient electrical supply. Delivery and removal within included delivery area with no restrictions for delivery, set up or pickup. We do not install this bungee run on dirt or sand but it can be setup on asphalt, concrete or artificial grass by adding sand bags to your order.